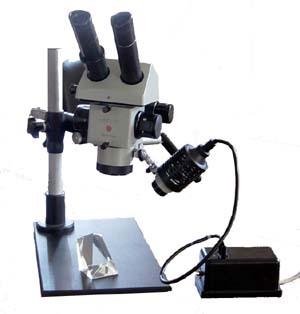 Optical Head f=90mm of MBS-10 microscope. 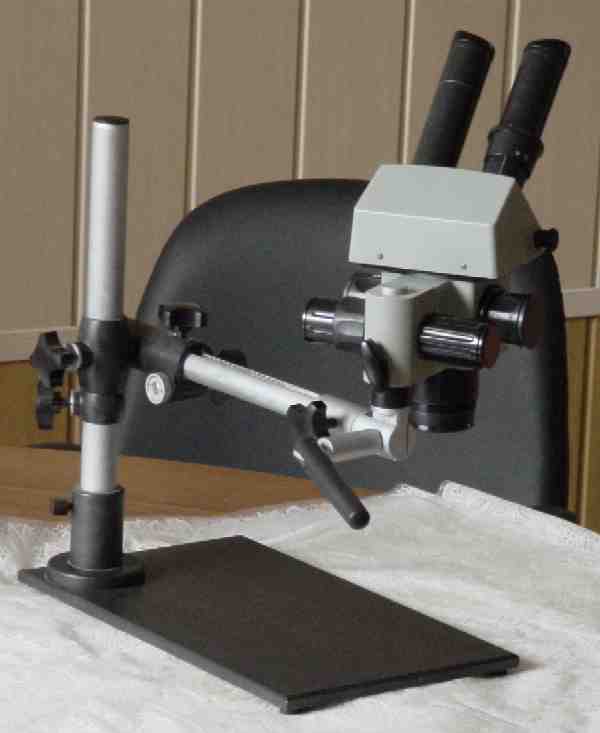 For various purposes the Optical Head can be installed and mounted in universal stand (US). In order to extend Optical Head performance characteristics in accordance with the tasks that researchers faced the wide broad range of accessories can be used with it. Complete delivery set: Body with drum - 1pc. ; Binocular attachment - 1pc. ; Objective f'= 90mm - 1pc. ; Illuminator with condenser - 1pc. ; Eyepiece 8x - 2pcs. ; Eyepiece 14x - 2pcs. 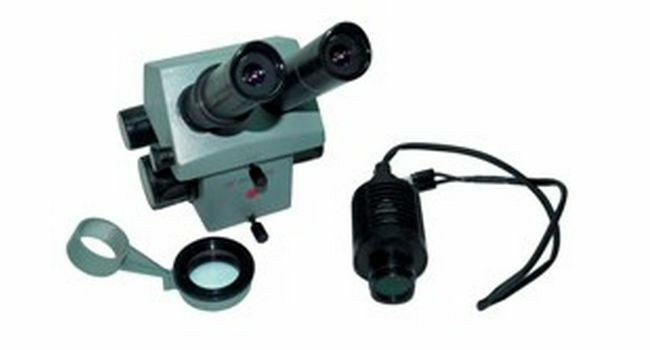 ; Eyepiece 8x with scale - 1pc. ; Eye shield - 2pcs. ; Lamp MR-16 (12V/20W) - 2pcs; Light filter - 1pc. ; Cleaning napkin - 1pc. ; Manual and certificate - 1pc. ; Case - 1pc. ; Case for spare parts - 1pc. ; Packing carton - 1pc.